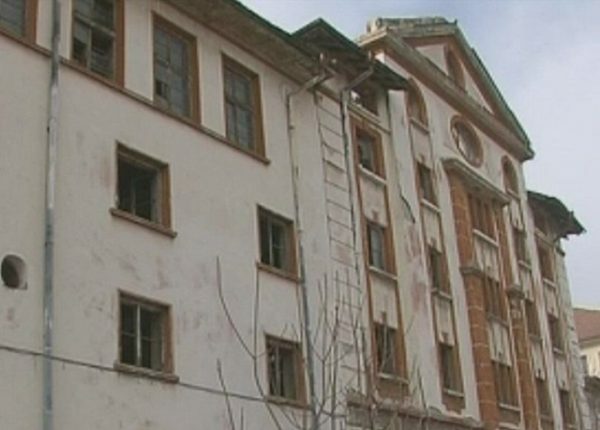 A group calling itself “To Protect Tobacco Town” lodged a formal request on March 9 for a special meeting of Plovdiv city council in response to the controversial attempt to demolish a historic tobacco warehouse. Demolition work on the warehouse began on the Sunday at the close of the March 3 – 6 long weekend but was halted by authorities after a public outcry and documentary proof that the building, dating from the early 1920s, was meant to be protected by statute. The group (in Bulgarian, Да запазим тютюневия град) lodged the request to the president of Plovdiv’s city council, for the meeting to be convened within seven days, and asking that the sitting should be open to all organisations and individuals wanting to express their opinion. All relevant state and municipal institutions should be invited to the meeting, the request said. The leader of the right-wing Democrats for a Strong Bulgaria in the city council, Pepa Devedzhieva, called on March 9 for the resignation of Plovdiv city chief architect Roumen Russev over the “Tobacco Town” case. According to local media, Russev had been chief architect since the time in office of former mayor Slavcho Atanassov and at the time of the mayor before Atanassov, Ivan Chomakov, was deputy mayor in charge of construction. Media reports have quoted Russev as saying that he felt morally responsible for what had happened “and even soiled”. He reportedly had said that he would resign if this was requested. Devedzhieva asked what would become of the “Tobacco Town”, which is part of the concept for Plovdiv’s place as European Capital of Culture 2019. She said that she doubted that the project for the precinct could be implemented because all the 1920s and 1930s tobacco warehouses were in private hands. Questions are still be asked about who authorised the March 2016 demolition of the tobacco warehouse at Plovdiv’s 8 Odrin Street. Deputy mayor in charge of construction Dimitar Katsarski said that requests for the granting of building permits went straight to the chief architect. Katarski said that there had been a lengthy correspondence between the municipality and the Ministry of Culture about approval of a comprehensive management plan for the central part of Plovdiv where the tobacco warehouses were. The Ministry of Culture said on March 7 2016 that the 8 Odrin Street building was a monument of culture and had been so since 1977. Culture Minister Vezhdi Rashidov has formally ordered a halt to demolition of the building and initiated a procedure towards penalising those who carried out the demolition work, as well as those who made it possible. Rashidov reiterated on March 9 that he wanted to see the building rebuilt and said that he would issue an order for this to happen, with a deadline. He described the demolition as a “moral crime”. Speaking to Bulgarian National Radio’s Radio Plovdiv, Russev said that he did not know who the owners of the warehouse were, adding that he knew that legally it was a company called 8 Odrin Ltd “but I do not know who they are”. In contrast to media reports that alleged that documentation used in the application for the demolition of the tobacco warehouse had been faked, Russev said, “I never said that there was a false document”. Prosecutors, who announced on March 7 that they were investigating the case with a 30-day deadline to come up with conclusions, are said to be looking into a discrepancy between a document held in official archives declaring the building a monument of culture, and the document presented in 2010 in the project application saying that the building was not a monument of culture. Local media noted that in September 2015, a public debate had been held at the Boris Christoff House of Culture in Plovdiv about the future of the tobacco warehouses. This debate had involved architects, public figures, people from Plovdiv’s cultural circles, officials and others, discussing a vision for a new life for the warehouses. Among the interesting ideas proposed at the meeting were the conversion of the stores as a precinct for the IT industry, transforming them into a centre for alternative education, and the creation of an Independent University of Culture, which would be housed in the warehouses. A subsequent meeting with the owners of the stores did not take place. Plovdiv website podtepeto.com established that over the past decade, ownership of the 8 Odrin Street warehouse had changed hands several times among various companies. Reportedly, the plan was for demolition of the building, which is near the city’s South bus station, to be followed by the construction of a multi-storey mixed-used building, including a luxury hotel with which a prominent international brand reportedly would be involved. The building was among about 30 tobacco warehouses built in the 1920s and 1930s at the time that Bulgaria was one of Europe’s top three exporters of quality tobacco products, to destinations including Central Europe, the UK and the US. Most of the buildings, averaging four to five storeys, were in a precinct at Plovdiv’s Ivan Vazov, Hristo Botev and Avksentij Veleshki streets, and several were the work of prominent Bulgarian architects of the time. The large tobacco warehouses were in sharp contrast to their surroundings, which in those early decades consisted mainly of single-storey buildings. According to researcher Penka Kalinkova, as reported by Bulgarian National Television, the 8 Odrin Street building is said to have inspired writer Dimitar Dimov to produce the epic Bulgarian novel Tobacco and was used for location shooting for the 1961 film Tobacco. After the communist takeover of Bulgaria, the building became part of the Rodopi tobacco plant and then Bulgartabac Plovdiv. In the early 1960s, Plovdiv artist Vulchan Petrov was commissioned to paint large-scale frescoes in the building – artwork now reduced to rubble by the bulldozers and electric hammers of 2016. The 8 Odrin Street building was declared in 1985 as of cultural value, among four tobacco warehouses in the precinct. For decades, the buildings awaited formal declaration under Bulgaria’s cultural heritage laws. In recent years, the tobacco warehouses began to fall into decline. Media reports identified the building as previously having been owned by business person Krassimir Gergov, who in 2009 sold it the PJ Trade company, identified as the current owner. The building was among assets of the city listed in formal documentation for Plovdiv’s – successful – application to be declared European Capital of Culture 2019.